Shelley Bean: 39 & Glamorous Blog Hop! 39 & Glamorous Blog Hop! Welcome to Heartstring Designs and The 39 & Glamorous Blog Hop!. You should be arriving here from Vickie, if you just stumbled here and would like to hop from the beginning, click HERE to start over. This is a fantastic hop with many very talented people and there are so many prizes! Along with the giveaways and surprises available at many of the hops there is also a line-up of sponsors that have kindly donated their products to some lucky winners. So, sit back, take your time and browse through all these amazing blogs and what they have to offer. Before I get started and share with you my creation and a special bonus prize for EVERYONE who is hopping today, I wanted to send a special thank you to Bonnie for all her hard work and also to our sponsors. And now, here is what I created to share with you today. I decided to make something that I felt was sort of grungy-elegant. Would that be "grunegant"? Anyway, I used one of my very own digi-stamps, colored it with copic markers and added a lot of texturing and layering to create the card you see here. I absolutely love my ATG gun adhesive to make all those layers stay stuck! Would you like to have this digi stamp absolutely free? 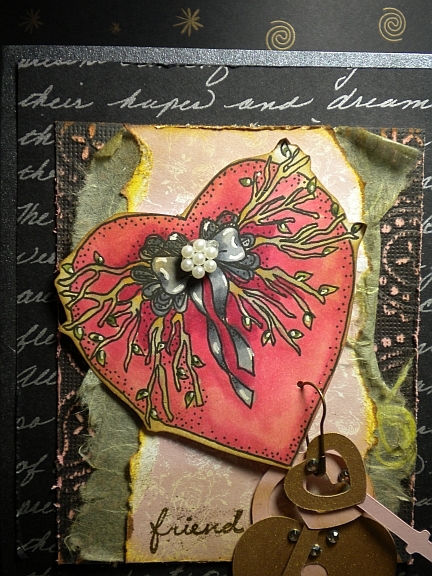 Well, you can have this one or any other one of your choosing simply by popping over to my stamp site, Shelley Bean Stamps. I have a promotion going there now where if you share my stamp site with your friends on your blog or social networking site, leave a comment that you did over there, I will personally send you the free digi of your choice. Seriously. That's all there is to it. What could be easier than that? It is my thank you for telling everyone about what I have to offer. Please remember in order to receive the free digi, you must pop over there to leave the comment. But, hey...this isn't all about me. There are still a whole lotta wonderful blogs to hop through. So, you better get hoppin'!! I hope you choose to visit my blog again. I would be very flattered if you decided to become a follower! I love your card and I love the way you have your blog especially the font.. how do you do it? WHAT a gorgeous card! So sophisticated looking! I am your newest follower and can't wait to see more. I will try to go over and work on getting your FREE STAMP! THANK you! This card is Gorgeous! I just LOVE IT! oh wow such a beatiful card. That is amazing! Looking at the digi stamp I would not have said it was the same stamp that you created that card with! WOW, I guess its about time I start looking into what stamping has to offer huh :) Love the vintage feel of your design just so pretty! Gorgeous card. It's absolutely fabulous. Your card is fabulous! Love the look. This is very cute. I am a new follower! TFS! OMG! love the card just fabulous!! TFS and it's been fun being in the hop with you!! Very pretty card. Love it! Very neat card. You sure used a lot of the elements the birthday girl asked for! Amazing card! Love the lock and key!! Thanks for sharing!! very sweet card love the heart.. I'm a new follower & will be looking forward to your postings. Thank-your for sharing your talent with us. Thanks for the digi stamp, love your card!! Wonderful card, love those keys and lock. I love this card! What an awesome job you did. lovely!! What a pretty card. WOW, Nice card! very kind of you to giveaway a free candy to everyone :) ill post your giveaway on my blog! Im also a new follower. Love the card - the digi-stamp is terrific especially the way it's colored. Your card is very cool-looking! I think I have seen this digi used on another card some time ago. If not, it was one very similar. TFS! WOW, love your blog, so much talent!!! After the hop I'm checking out your site. I would love to share with my friends, your work is amazing. Great card! Your digi stamp is lovely! GREAT card....I love all the dimension and color. Beautiful! So much detail! I ♥ it! 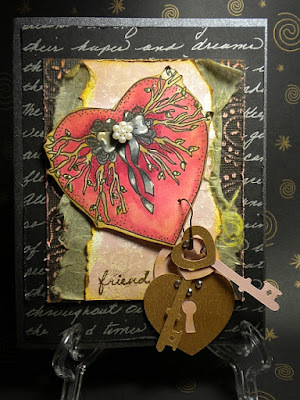 Very Creative Card, love how you hung the keys and the lock off the heart...Going to check out you digi site. Your blog is beautiful! Thank you for sharing your talents with us, what a great hop! WOW! I love your card. The colors are awesome. Wow! you are incredibly talented! Thanks for sharing your gift and being a part of this hop so I could discover your blog! I became a follower and love the card you made! Wow! Your card is fabulous! I really liked your creations! lady card. did you draw that digi? If so you are good girl! Very pretty Card ! Hopping threw ~! I am a new follower. Your work is absolutely beautiful! Can't wait to spend some more time on your blog. TFS! I absolutely love your card. It's so pretty. The digi stamp is wonderful. TFS such wonderful inspiration. I love this, its sooo, what did you call it, "grunegant"! yes, that is perfect! I love your digi,I will be heading there next to grab that baby! Thanks for incorporating the things I love into your card, its perfect. Thanks for sponsoring my hop, I am sure whoever wins will so LOVE their stamps. SO happy you joined the hop and got to share your amazing talent with us! Your card is just awesome, it totally rocks big time! I love your digi stamp. Very cool on this project.